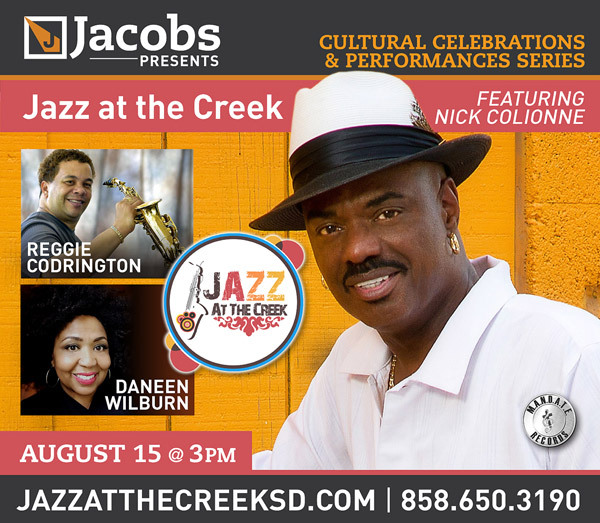 The Jazz at the Creek series finale, presented by M.A.N.D.A.T.E. Records, Inc. concludes with red-hot guitarist and vocalist Nick Colionne joined by vocalist Daneen Wilburn and saxophonist Reggie Codrington. Food for Kids Backpack Program.